PUERTO GALERA | Since Puerto Galera is only 4 hours away from Manila. We are frequent visitors there. And if we have visitors from overseas, we always take them here. Why? Because there are so many activities you can do in Puerto Galera! How to get to Puerto Galera ? You can take a bus from Buendia that has a sign BATANGAS PORT . If you are driving, you can leave the car at the port area at a minimal fee. 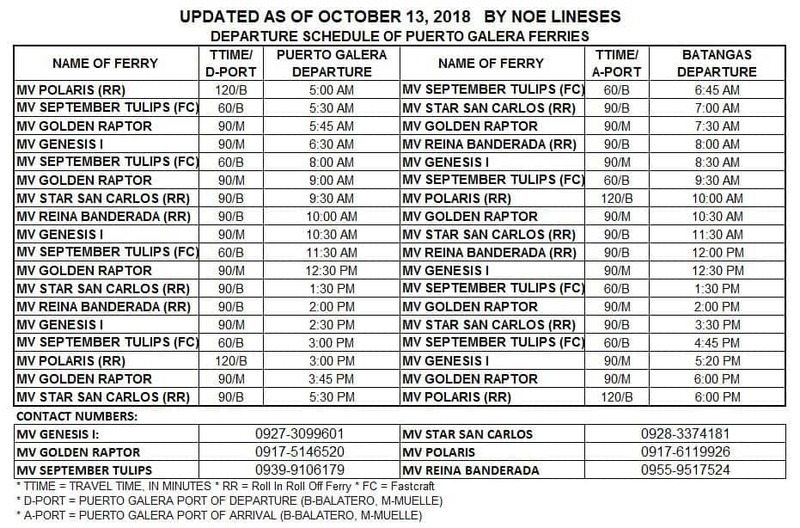 Here are the new schedule of boats from Batangas to Puerto Galera effective October 2018. It’s a big difference from before. It is now a first come first serve basis so make sure to come early. But what I like was they leave on time. I just hope that they would add more boats in the days or months to come. ONE WAY: Php 350 on a Fast Craft and Php 150.00 on a Ro-Ro Boat. We arrived the day after Easter Sunday so it’s still busy. FIRST ACTIVITY: JET SKI – Php 2500.00 – Php 3000.00. There are I think one or two agents that offer Jet Ski and normally the average price is around. Jono and I are ready to give it a go! The person who manages the Jet Ski will show you how to use it and where to go. It’s all about safety! Jono and Jerome who coordinated our activities while we are in PG. Watching the Sunset while you are on a Jet Ski was spectacular! Aside from Boracay, Fire dancing is also very popular in Puerto Galera specially at White Beach. There are so many bars around and almost each one has their own fire dancers that will surely light you up! So at night,after having a great dinner, just go to some of the bars or walk along the beach at night and surely you won’t miss these awesome fire dancers. In particular, Miko’s Bar and Khetting’s Celebrity Bar. 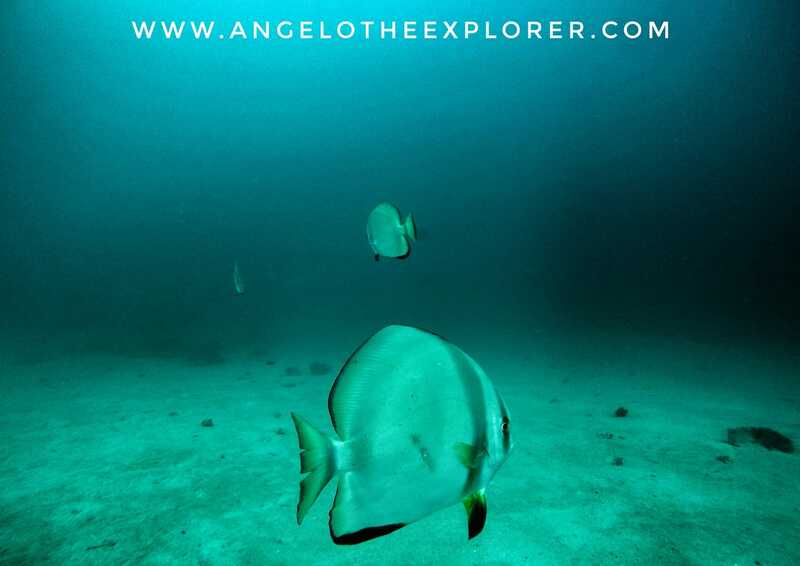 Puerto Galera offers one of the great diving spots in the Philippines or maybe even in the World! So surely, Snorkeling would also be excellent here. Jerome took us to a different snorkeling spot which is so much better than the previous one. Would really like to taste Sea Urchins. Maybe someday! Haha! The water is so clear. Make you sure you have a loaf of bread to feed the fish. Once you have something to feed them. The fishes will be after you. I haven’t been to this place before. And good thing Jerome told me about this place because it was amazing.It’s only 5 minutes away from where we snorkeled. Hopped into the boat to this cove and on the side you will find a trail going to the cave. This tunnel heads up to the sea. Was really tempted to go in but they say it’s a bit far. Don’t want to risk it. Maybe next time! Jerome and I enjoying the adventure. A walk through Sabang is always an interesting one. Very different from White Beach since Sabang is a place for Diving and It’s like the Red Light District of Puerto Galera. We ate at Big Apple Restaurant. Had a great time and delicious meal! 6th Activity: Get A Henna Tattoo – Price depends on the design. There are so many places along the beach that offers Henna. Just make sure to haggle a bit and try to compare their rates. Fishing is also a great activity in Puerto Galera. If you are lucky enough, you can even catch a Tuna or a Marlin. Jerome will prepare everything for you even your coffee. You will leave the shore at around 6:00 am. Had not done this before, but I really enjoyed it! Oh, this is a must try! Parasaling offers a great view of White Beach. You will enjoy this! 9th Activity: Get Entertained by the Drag Performers. Every night most specially when it’s busy or on weekends. They are the stars of the night. White Beach is as lively as these performers. A total entertainment at it’s best! Puerto Galera is known to have one of the best diving spots in the Philippines. 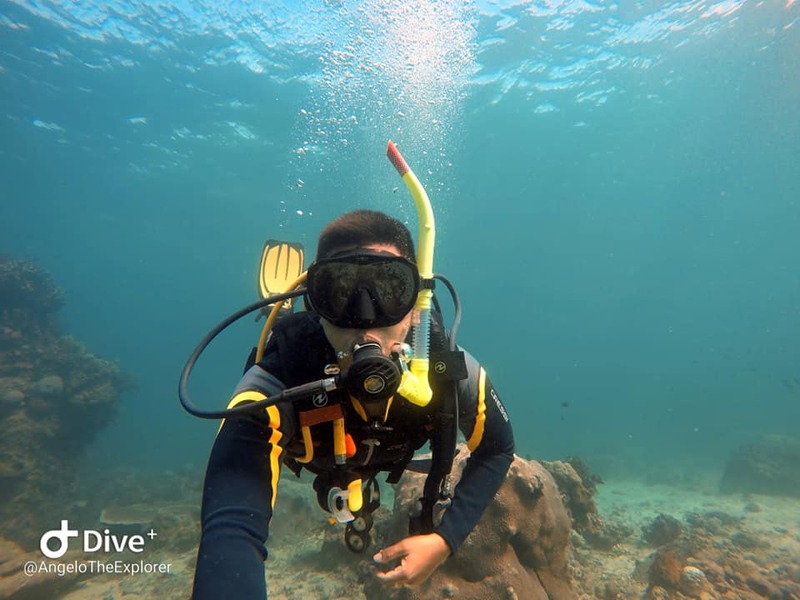 For first timers, you can try and do a discover scuba diving or you can also do an open water certification. There are plenty of dive shops in Sabang area and very few along the white beach area. But,what’s for sure is, you are definitely going to enjoy the under water world in Puerto Galera! I did my PADI Open Water Course with Scandi Divers Resort in Sabang. 11th Activity: Go home safely and cherish the good memories. All these were not possible without the help of our tour guide in Puerto Galera for 5 years now. His name is Jerome and his contact number is +639217800405 and +639771278298 . He will give you the best deal on the Island and a person whom you can trust and will not rip you off. Do not forget to save this number on your phone while in Puerto Galera. Hi Arvin, you will enjoy the place very much! Let's stay connected.Nice blog too! visit my site http://www.extremesportsphilippines.com we are the leader in sports entertainment in Puerto Galera. Thank you so much . Is it ok if I write an article about Extreme Sports Philippines? You can rent a boat if you are in a big group otherwise jeepney is available from white beach to the town proper to sabang. I've been to a number of places, but I've never been to PG! But because of this I think I need to try out there. Haha. Nice pics! Been to Puerto Galera just recently pero in Muelle Bay. I really envy you! Puerto Galera is one of my dream place. Hope I can have that experience too. Thank you for sharing. I saved his number. In case we decide to make our vacation there. Hi. I found this blog very helpful. I just have few questions. If ever I am in White Beach and wanted to visit to Sabang, you stated I can ride on a jeepney going there. Do you have any idea until what time jeepney will be available going back in White Beach? How long will be the trip and how much? I will be visiting on Saturday, hope you can help. Thank you. Hi Chii, may apologies for the late reply. Jeepneys leave every hour from Sabang to Puerto Galera town. From there you can take a tricycle to White Beach. The trip is only around an hour to get to Sabang from White beach. Sobra dear! kelangan mo syang mapuntahan! Thanks for the Post Angelo. Do you know if there any major hotels there that accept AMEX cards? Thank you for sharing! Ung 1500 – 2000 price ng parasailing good for 1 pax lang ba ?